“The Lore of Ramridge” Is Officially Published! Leave a Comment on “The Lore of Ramridge” Is Officially Published! “The Lore of Ramridge” Is Up For Pre-Order! Leave a Comment on “The Lore of Ramridge” Is Up For Pre-Order! 14 February 2018 It’s genuine! It’s beautiful! It’s official! Here’s the cover for The Lore Of Ramridge, original artwork and design by Samina Mansuri. Check out her spectacular work at: http://www.saminamansuri.ca. Currently, I’m chopping away at the story day by day. Editing, that is. Thank you all for the support! Happy Valentine’s Day! 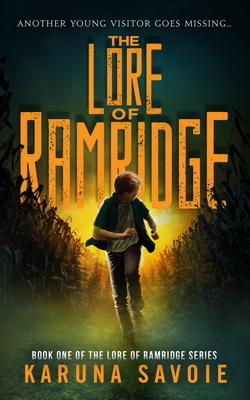 4 Comments on The Lore Of Ramridge — Ebook Cover Reveal!